I sometimes feel the heat in my spiritual life. It is because I need spiritual growth. Are you feeling the heat in your life? It could be that our God is the creator of that heat. As a pastor, I want to be an instrument for His work. I want God to use my life. I do not however enjoy the process He uses in refining my life. I have however come to respect it and I am even grateful for it. I like epic war movies. I cannot recall how many movies I have seen where the heroes decide to go to war, but before they rush out to fight the enemy, they first have to forge their own weapons. And then you see it in HD on the screen. A piece of hot iron is taken out of the furnace. And then you see images of sweaty muscle raising hammers and banging on steel as they apply powerful pressure to make swords. Not only do the heroes feel the heat, but so do the swords! 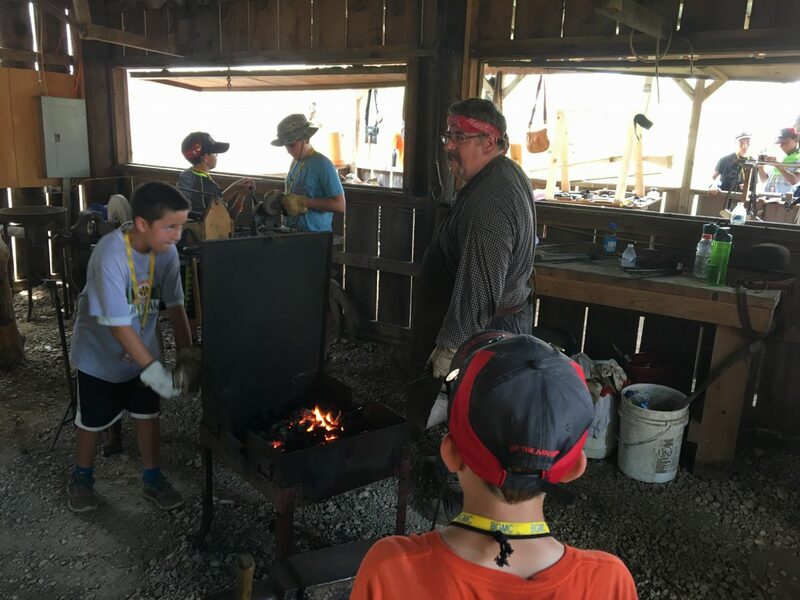 This past summer I attended Camporama, (the national camp out for the Assembly of God’s boy’s ministry called Royal Rangers) and visited a blacksmith shop. I experienced firsthand what it felt like to feel the heat and to hear the sound of the billows needed to create useful instruments. For me, it was an unusual experience. In our consumer society, we are more likely to go to Walmart than a blacksmith shop. And so sometimes the methods God uses seem strange to us. However, the ancient methods we read about in scripture were well known in those days. Most of us don’t like to feel the heat. However, most of us want spiritual growth! Strain in relationships with your wife or parents, other church members, or your children are causing the temperature of your life to rise. Your sin is causing consequences. You have been discovered, found out, and now you feel the heat. Often when these things happen, we think that the enemy of our souls must have brought about these scenarios. We want a life without pain. But spiritual growth comes sometimes because we go through pain. We want a simple path to becoming “an instrument for his work.” But just like a sword can’t be forged without heat, even so we can’t become all God wants us to be without the heat and pressure of life. Instruments for his work must be purified. Purification is a definite sign of spiritual growth. If the heat causes you to repent, to turn your life around, to change, to have a testimony of his deliverance, then Gods purpose in creating scenarios to heat up the coals in your life become apparent. In fact, being chastened by the Lord proves to you that you are his son. Instruments for his work must be strong enough to give testimony of how they went through the difficult moments of life. No one wants to experience a divorce. No one wants to go bankrupt. No one wants a business to fail. No one wants to be in a car wreck. But I have discovered that God uses all of the experiences of life. God allows the blacksmith to blow into our lives. But God is making us strong through all of it. The greatest testimony to God’s power is not someone who lived a charmed life with no problems. But rather someone who says, I have been through the fire and I am still standing. In fact, I am stronger for it. Instruments for his work must value relationships. Strained relationships or even broken relationships are allowed into our life by God so that we grow through them. For example, Instruments for his work must have patience, a fruit of the Spirit. How will we ever grow to possess that fruit if life didn’t have people that tested our patience? So the next time you find yourself in the heat and pressure of life. Just relax, God is in that fiery furnace trial just as surely as he was with Daniel. We just need to recognize the process. Spiritual growth is inevitable. In the end, if you have faith, you will become an instrument for his work!